José Esteban Muñoz has passed away in New York City. Though I didn’t know him personally, his work and energy has significantly influenced academic discourses and cultural landscapes. 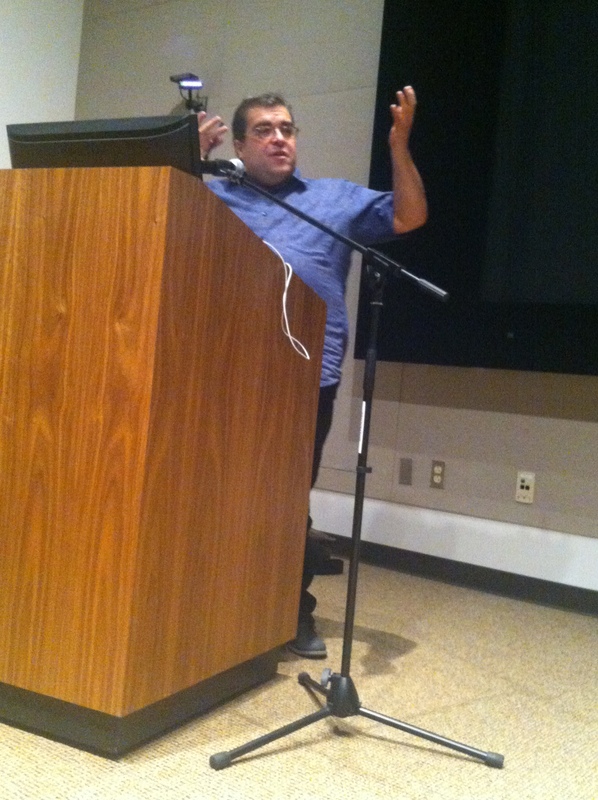 I met him briefly after a Queer Lab event this past May at UC Riverside. After the event, a group of us met up at the Mission Inn for food and drinks. Although José sat on the opposite side of the long table and didn’t know any us, he eventually walked over and chilled with us for a bit. 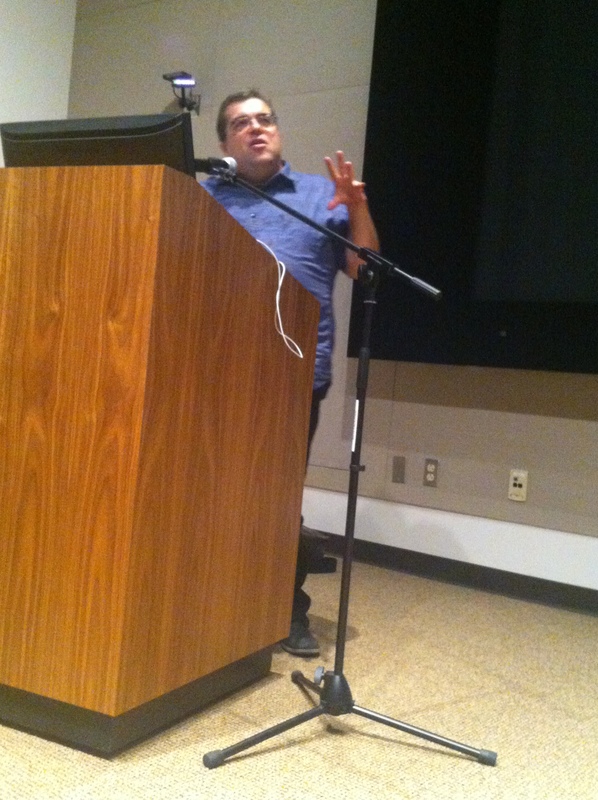 We talked about queer theory and punk stuff. It was a cool gesture that reflected his relaxed vibe. Much respect to his accomplished works that continue to push cultural boundaries. You will be missed. Catch ya on the flip side. 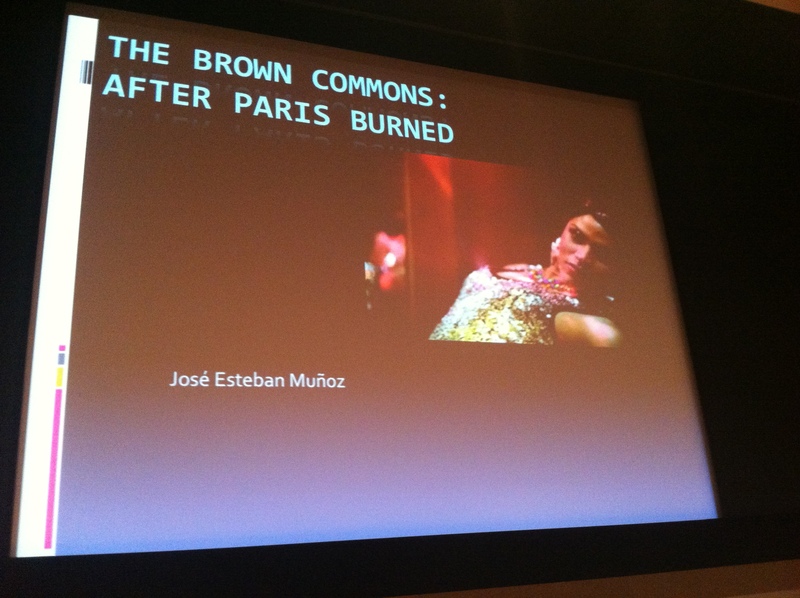 These photos were taken by Elliot Fong at the Queer Lab event in May 2013, titled The Brown Commons: After Paris Burns.